Poughkeepsie, NY, a once-thriving river town on the Hudson, but long economically depressed, is often our gateway to upstate New York, via the Metro North train. But when we first bought our farmhouse in Dutchess County, there wasn’t much incentive to linger in Poughkeepsie after a commute. Dinner in Poughkeepsie? No way: a culinary wasteland, with a high crime rate to boot. Fast forward a decade. Poughkeepsie now has a happening dining scene, especially in the historic and gradually gentrifying Main Street district, anchored by restaurants like the stylish Bull & Buddha and Brasserie 292, and Crave (at the foot of the Walkway Over the Hudson). 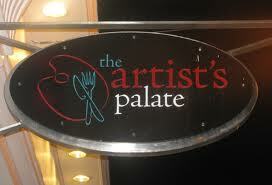 But they all owe a debt to the first-mover and culinary standard-bearer of the area: The Artist’s Palate. A little over six years ago, husband and wife chef-owners Charles and Megan Kulpa Fells rolled the dice and opened their pioneering Main Street establishment in the historic M. Schwarz department store building. Charles, a Hudson Valley restaurant and food service veteran who happens to be a Poughkeepsie native, remembered the past glory of Main Street, and wanted to help bring it back. He found a willing partner in Megan (his then-girlfriend), a CIA graduate who had been cooking in the area since 2000, and who was undaunted by the edgy urban locale. They believed they could attract enough customers from the surrounding courts, state office buildings, Vassar Hospital and performances at the historic Bardavon Theater around the block. Kathryn and I visited recently for dinner, and found a lot to like: an attractive, open space with tasteful decor and art-adorned walls; professional service; and, not least, a creative, well-executed menu, beautifully presented. It’s still the go-to dining destination in Poughkeepsie. 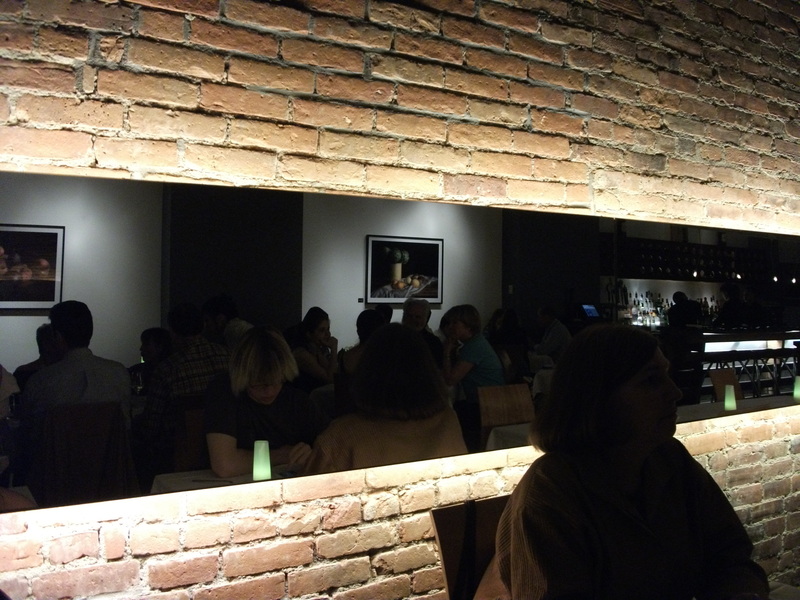 Here’s our full review of The Artist’s Palate in the Red Hook Observer. This entry was posted in Hudson Valley, Restaurants, Wine + Food and tagged Charles and Megan Fells, Poughkeepsie NY, Poughkeepsie restaurants, The Artist's Palate. Bookmark the permalink.